Ralf Scheepers, one of the mightiest voices in heavy metal in the last two decades, brings his first solo album on Frontiers Records, and it's a dandy. His career dates back to 1983, but Scheepers is probably best know for his early work with Kai Hansen's Gamma Ray and lately with German heavy metal powerhouse, Primal Fear, which he developed with bass player Matt Sinner. He's been compared in power, clarity, and influence with the likes of Rob Halford, Ronnie James, and early pioneer Ian Gillian. With little doubt, he's one of my favorite metal singers. Fans of Scheepers, and his work with Primal Fear, will be pleased with Scheepers in toto. According to the promo material, these are songs Ralf had written over his tenure with Fear, but did not fit their concept. Possibly, but it's more likely that Primal Fear missed out on some quality songs. The Fall, Doomsday, and the heavier Remission of Sin certainly could have fit any album. But heavier, powerful, and fast-paced might better describe some songs here. This certainly describes the opener Locked in the Dungeon, with a guitar solo by Halford�s Metal Mike. Then Saints of the Rock is heavy, steady, and flavored with rock nuances and could pass as a Halford/Priest type song. Scheepers shows the depth of his skills on many songs, notably their fiery Play with the Fire (pardon the pun) and the metal ballad Compassion (and yeah, I believe you are hearing an accordion). 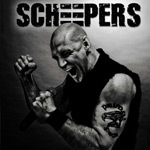 Scheepers is helped along by Primal Fear band mates Magnus Karlsson, Alex Beyrodt, and Mat Sinner, who produced. Friend Kai Hansen turns in an appearance as do former Primal Fear guitarist Stefan Leibing, Victor Smolski (Rage), Sander Gommans (ex After Forever), and Snowy Shaw (King Diamond, Therion). Tim 'Ripper Owens lends his voice to Remission of Sins. Ralf Scheepers debut solo album is a work he should be supremely proud of: it's a fine venue for his versatile and powerful vocal skills with well-composed songs of metal, both heavy and melodic. Strongly recommended. Ralf Scheepers debut solo album is a work he should be supremely proud of: it's a fine venue for his versatile and powerful vocal skills with well-composed songs of metal, both heavy and melodic.